Sandy has certainly brought out the mathematician in me. While spending time in my apartment, watching endless episodes of Revenge, I've been doing a little math. I think I've found the perfect solution. haha love this..and love revenge!! Revenge is the best! 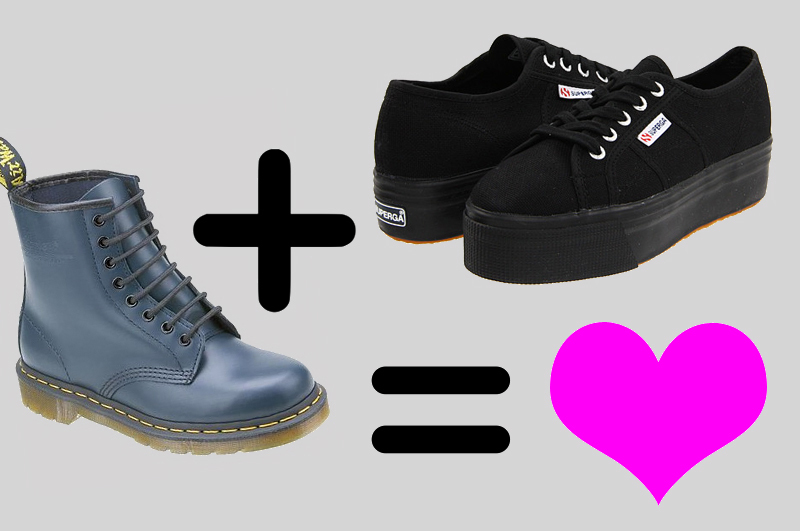 I have those navy docs, but I would looove those creepers! i just bought the supergas and they were the best purchase ever! they totally bring me back to middle school days of guess sneaker wedges!